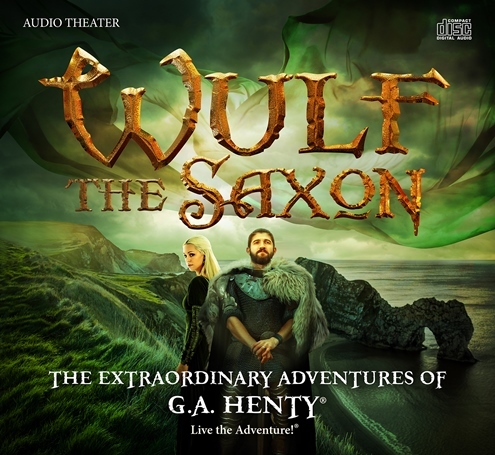 Wulf the Saxon From Heirloom Audio Productions: My Review | My Journeys Through Life . . . Herding Cats In New Mexico! ← My Factory Original Parts Are Wearing Out! Once again, our family has had the great pleasure of listening to, and reviewing an audio adventure from Heirloom Audio Productions! This time around, we were blessed by Heirloom Audio Productions with a two CD Set of the wonderful production Wulf the Saxon, which we have so enjoyed listening to, just as we have enjoyed so many other of the terrific productions created by Heirloom Audio! 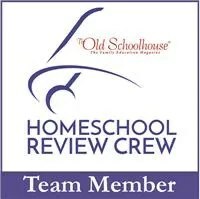 As a member of the Homeschool Review Crew, I have had the wonderful opportunity to review all but on of the “extraordinary” Adventures of G. A. Henty. G. A. Henty was a master storyteller, and the Heirloom Audion Productions are based on the novels which he wrote in the latter part of the 1800’s. These are awesome stories, because they are stories from real, exciting history! Here is a little video from Heirloom Audio Productions to better explain the mission they have to produce wonderful, true history accounts, which will showcase the hand of God in all of our historical events. Heirloom Audio Productions also has a fairly new arm called Live the Adventure Club. Here, you will find access to extra educational materials for the various audio adventures, articles of interest for parents, a discussion group and much more! You’re likely wondering when I will get to telling you about Wulf the Saxon, aren’t you? Well never fear, because here we go! Wulf the Saxon begins in England during the 1060’s, during the time when King Edward the Confessor is ruler. Wulf is page to Earl Harold Godwinson, but he hopes one day to become a Thane ((in Anglo-Saxon England) a man who held land granted by the king or by a military nobleman, ranking between an ordinary freeman and a hereditary noble. As a Thane, he would rule his family’s lands. As a page, he is learning to live in a way to show that he is ready for his position in life. During this time Wulf is forced to learn some hard lessons, humility and the importance of friendship, among others. He is sent away after an incident regarding his behavior, and after a time, forgiven and allowed back. He DOES become a Thane, and continues to serve the Earl, and of course, the King. From this point on, Wulf survives a number of “adventures,” including a shipwreck and being held captive by the Normans. He learns many lessons during this time, and matures in his faith. We learn that continuing in faith is always going to make things end up as they should. At a time in history when nobles mostly were married in order to create alliances and to prevent wars, Wulf learns that a fortunate few are able to marry for love. This production, as always, has an awesome cast! Further, once again the Original Score by John Campbell is phenomenal! A great score absolutely adds to the wonder when listening to such a production. We loved the adventure of Wulf the Saxon, as we have loved the other productions from Heirloom audio! This would be a wonderful addition to any family library, whether you homeschool or not. To read 99 other fair and honest reviews of Wulf the Saxon from Heirloom Audio, please click on the banner just below. I promise, you won’t be at all disappointed!